If you’ve brought a Bulldog puppy into your life you may be wondering what to feed him. Luckily we’ve created a complete guide to feeding a Bulldog puppy just for you! In this article we’ll look not only at what to feed your Bulldog puppy, but how much to feed him and how often. We’ll delve into the pros and cons of different diets, while taking into consideration the genetic and conformational health issues this iconic breed has to contend with. Taking care of any puppy is a big responsibility, but a Bulldog puppy has some special health and feeding requirements! Get ready to learn all about feeding a Bulldog puppy. When you first bring your Bulldog puppy home you should feed him the same food that he was getting from the breeder or shelter for about three to four weeks. This will give him time to acclimate to his new surroundings and get used to being separated from his mom and siblings. When you switch your puppy’s food, do it gradually over a period of five to seven days. Mix about three-quarters of the puppy food he eats now with one-quarter of the new food for the first two to three days. For the next two or three days give him equal portions of the old and new food. Finally, give him three-quarters of the new food and one-quarter of the old food for two to three days. This should be enough time for your puppy’s tummy to be able to handle the new food. Bulldogs have a particularly sensitive digestive system and an abrupt change in diet can easily upset a puppy’s small stomach. Signs of gastrointestinal problems include vomiting and diarrhea. The sheer number of different puppy foods to choose from can be overwhelming. 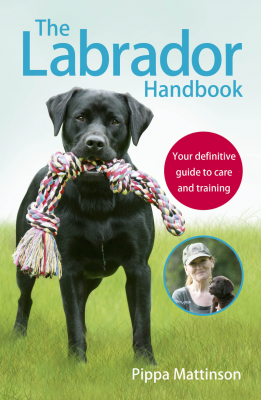 Your breeder may be able to give you some guidance. It’s also a good idea to have your veterinarian make a recommendation on the best food for your Bulldog puppy. Puppies need plenty of protein to promote strong bone, muscle, and joint growth. High-quality, natural protein should account for about 20% of your puppy’s diet . In some cases, puppies require more calories than adult dogs. However, you need to be careful because the Bulldog is prone to obesity. Guidelines on labels will give you an idea of the amount to feed your puppy, but ultimately each dog is an individual. Their body size, not what the label says, is a better indicator of a proper portion. A serving size can also vary depending on the type of food or brand as well. Due to their conformation a Bulldog puppy has special feeding requirements. Bulldogs are a brachycephalic breed. The short muzzle that’s one of their defining features can also make it difficult for them to pick up food. Chewing and swallowing can also be a problem. This is because the palate, teeth, tongue, and tissue are the same size as that of a dog with a much longer muzzle. Many Bulldogs also suffer from brachycephalic obstructive airway syndrome which causes serious breathing issues that can also make eating difficult. If you’re feeding your puppy dry kibble, choose one that has a triangular or other unique shape because it’s easier for them to pick up and chew. You might also find combining dry food with a good quality wet food is easier for them to consume. Until your Bulldog puppy reaches three months of age he should be fed four times a day. From three to six months, you can reduce it to three times a day. At six to 12 months old, you can feed him twice a day. After he’s a year old you can feed him once or twice daily. It’s important to support slow growth so that their bones form properly. Bulldogs are highly at risk for hip dysplasia. In fact, this study of 20 English Bulldogs found that none of the hips showed normal development and 77.5% were moderately to severely deformed at 12 to 14 months of age. Slightly lowering calorie and protein levels can foster slower growth in a dog who’s prone to hip and joint problems. As mentioned, when you bring home your new Bulldog puppy, keep him on the food he was fed at the breeder’s for approximately one month. Ask your veterinarian for guidance before changing their food. Then, slowly transition your puppy into his new diet. There are four main choices when deciding on what to feed your Bulldog puppy. 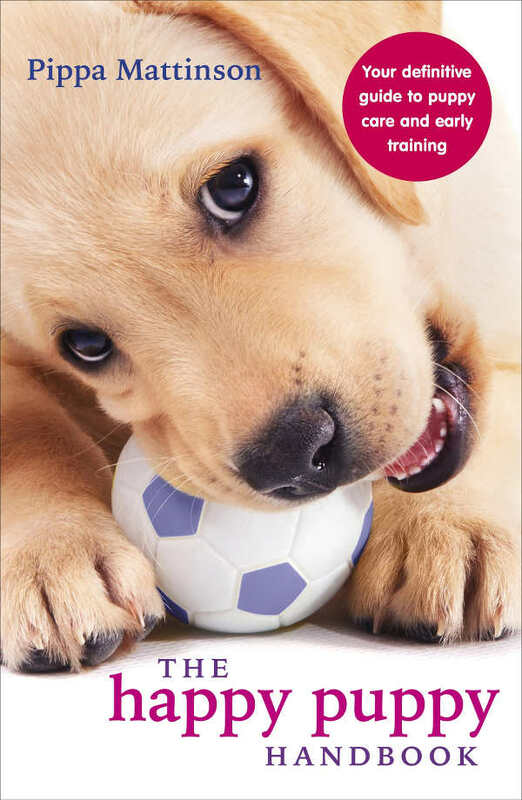 Dry kibble is probably the most popular all-round puppy food choice. That’s because there are a lot of plusses with dry food. It’s convenient, easy to store and serve, and in most cases it’s the least expensive option. 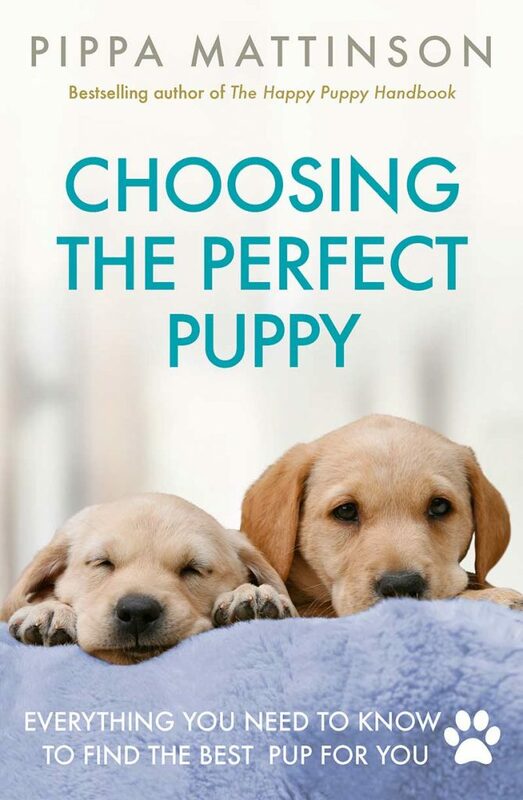 Make sure you choose a dry formula designed specifically for puppies. You may also want to find one that’s suitable for medium to large breeds. However, not all brands are created equal. Always check the ingredient list to ensure you’re getting a high quality protein. You can learn more about the pros and cons of kibble by reading this article. Wet food usually comes in cans and is generally considered meatier and more appetizing than dry old kibble. One upside to feeding your Bulldog puppy wet food is that it requires less chewing, which makes it easier for them to eat. It can also be easier for a dog with a delicate gastrointestinal system to digest. One downside is that it may cause loose stool. So if you’re switching to canned food, you may want to keep an eye on your puppy’s bowel movements. Since kibble is known to help remove plaque and the Bulldog is prone to dental problems, combining dry and wet food may be a good compromise. BARF stands for biologically appropriate raw food and there’s increasing interest in this dog food diet. Proponents of raw food feel this is a healthier diet because a dog’s digestive system is designed for processing meat and bones. A raw diet will keep your dog’s teeth cleaner than kibble. Dogs tend not to overeat raw food and are therefore less likely to put on weight. This is good for breeds like the Bulldog who have a tendency towards obesity and the joint and other health problems it causes. There are some concerns with intestinal blockage from bone fragments, which could lead to an emergency situation. Raw food can contain harmful bacteria and it goes without saying that precautions need to be taken when preparing raw meat. If your puppy is very young, his immune system isn’t fully developed. Speaking with your vet is recommended before you start your Bulldog puppy on a raw diet. If you do choose raw, consider grinding the bones first. This is to avoid choking hazards in a dog who is prone to them. This article will give you more information on the ins and outs of feeding your puppy a raw diet. Although a homemade diet can incorporate raw food, it usually includes meat that’s cooked. 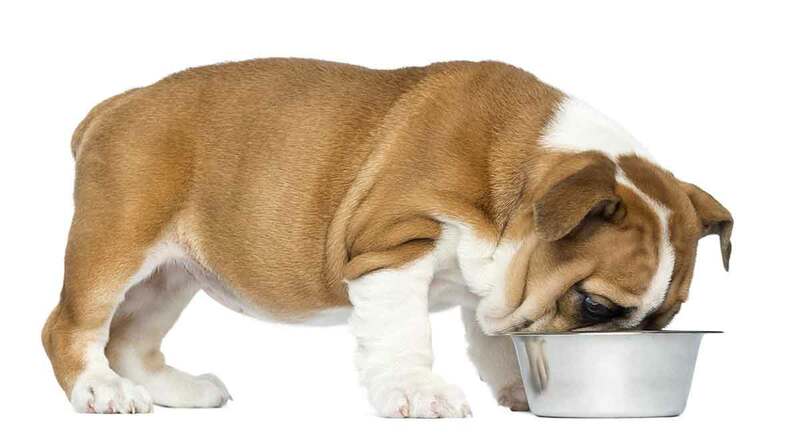 There are varying opinions on what are the best foods and proportions for your Bulldog puppy’s homemade diet. Although, it definitely isn’t giving him table scraps. If you’re considering going the homemade diet route, your best bet is to work closely with your veterinarian to ensure your puppy is getting the proper nutrients. How Much Should I Feed My Bulldog Puppy? Feeding a Bulldog puppy can be quite a challenge. Finding the right amount of food can take some trial and error. Ultimately, how much is the right amount depends on your puppy. A cup of one brand of puppy food may not have the same amount of calories or nutrition as another. Your best bet is to take the expert advice of your veterinarian to ensure your puppy’s as healthy as possible. It’s harder to tell if your Bulldog puppy is the right weight than it is with most other breeds. This is due to their singular conformation. However, if you run your hands along either side of his ribcage you should be able to feel his ribs. By eye, his waistline should tuck in and be narrower than their hips. Bulldogs have a tendency to gain weight easily. 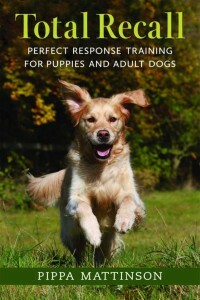 This can mean trouble for a dog who is limited in the amount he’s able to exercise. However, you don’t want your dog to be underweight either. Parasites, diabetes, or other underlying medical conditions could be the reason behind weight loss. If you suspect that your Bulldog puppy is overweight or underweight you should take him to the vet to determine the cause. Dogs are highly food motivated and it’s not uncommon for them to scarf down food like they haven’t eaten in days. Don’t let their beseeching eyes trick you into giving them another portion. There are ways to slow down your puppy’s eating. You can put the same amount of food into several bowls or purchase a slow feeder bowl. These bowls are designed with a barrier in the center and the food is placed around it. This can also help prevent choking and regurgitation. Another option is to space out meals so that he’s getting the same amount of food, but in several smaller portions throughout the day. If you’ve brought your new puppy home and they won’t eat anything at all it can be very distressing. Remember that your puppy is in an entirely different environment with new people and can easily feel overwhelmed and disoriented. Give them some time and space to explore their new surroundings. If your puppy refuses to eat for more than one meal, or you detect signs that they’re ill, it’s time to contact the vet. How Long is a Bulldog Considered a Puppy? Although dogs are generally considered to be an adult when they’re 12 months, a Bulldog may not be finished growing until they’re at least 18 months old. As your Bulldog puppy transitions from puppy to adult his nutritional needs will change. When a dog approaches his adult height and weight is the time to look at changing his puppy food to an adult food formula. An adult Bulldog is from 14 to 15 inches tall. A female will weigh 40 pounds and a male 50 pounds. However, it’s advisable to consult with your veterinarian before changing their diet. When you do, switch the food in the same gradual five to seven day process that you used when introducing his current food. Hopefully these tips on feeding a Bulldog puppy will serve you well. Let us know how you get on in the comments! Poncet, CM, et al., 2006, “Prevalence of gastrointestinal tract lesions in 73 brachycephalic dogs with upper respiratory syndrome,” Journal of Small Animal Practice. Emmerson, T., 2014, “Brachycephalic obstructive airway syndrome: a growing problem,” Journal of Small Animal Practice. Heiman V., 1947, “The protein requirements of growing puppies,” Journal of the American Veterinary Medical Association. Montoya-Alonso, J., et al., 2017, “Prevalence of Canine Obesity, Obesity-Related Metabolic Dysfunction, and Relationship with Owner Obesity in an Obesogenic Region of Spain,” frontiers in Veterinary Science. Volta, A., et al., 2010, “Radiographic features of pelvis and hip joint development of English Bulldogs,” Vet Comp Orthop Traumatol.